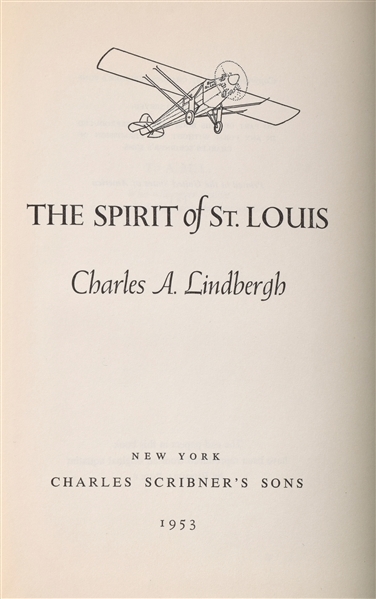 Signed book: The Spirit of St. Louis. Limited presentation edition, number 813 of 1000 copies. 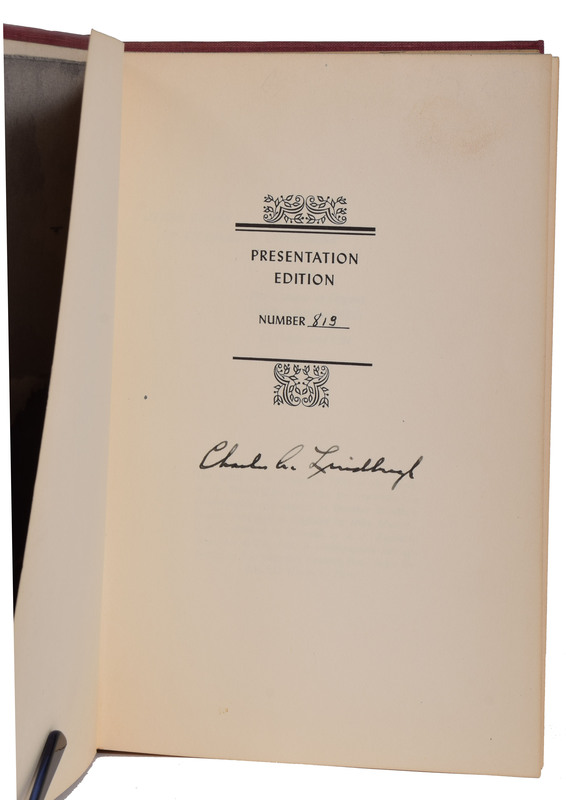 NY: Charles Scribner's Sons, 1953. 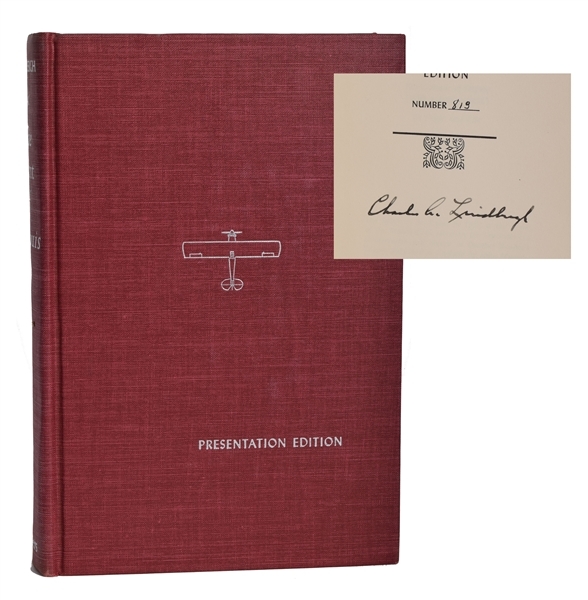 Hardcover,with original publishers plastic cover, 5.75 x 8.5, 562 pages. Signed on the colophon in fountain pen, "Charles A. 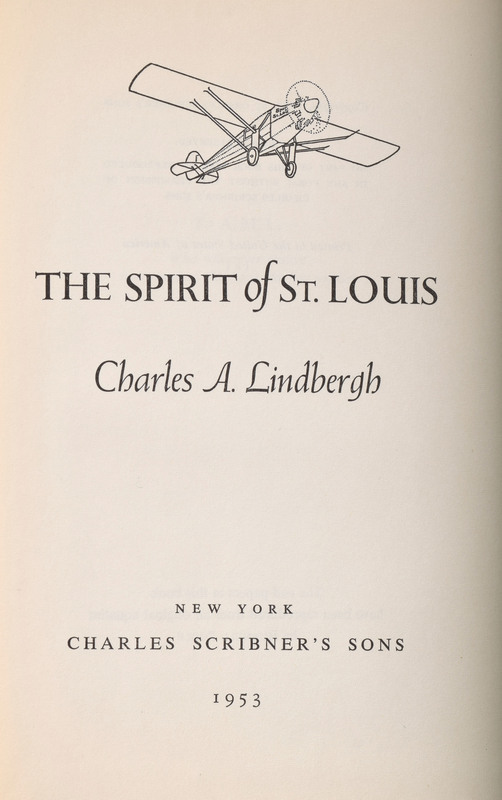 Lindbergh." fine. 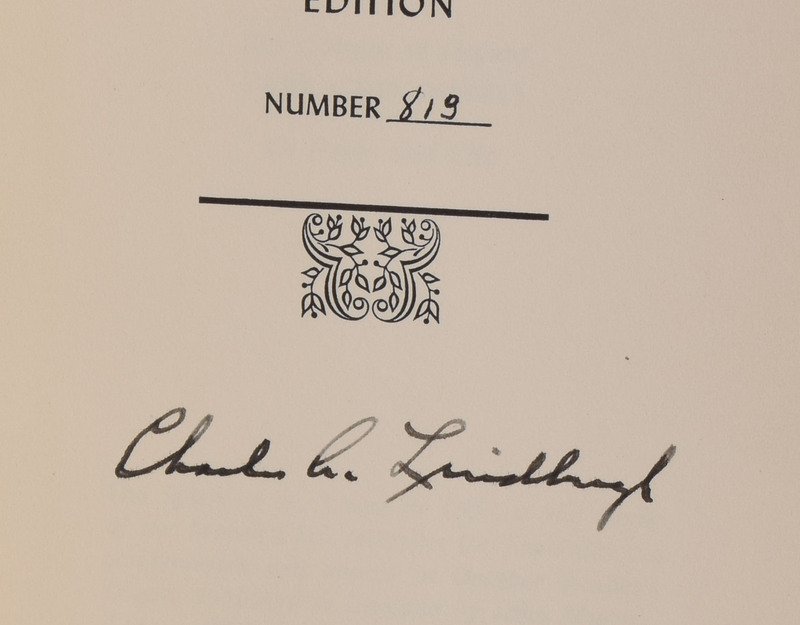 Book condition VG+/None. 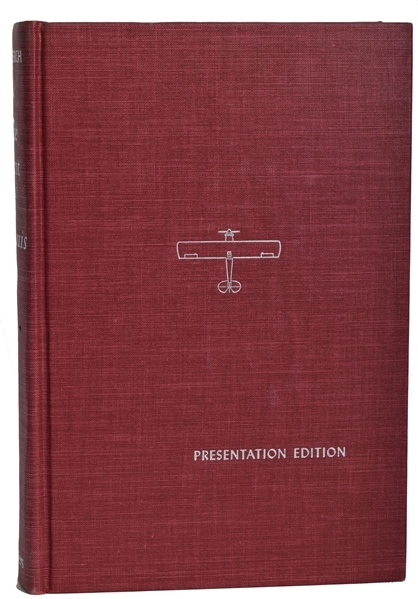 A most attractive example of this high point of aviation literature.